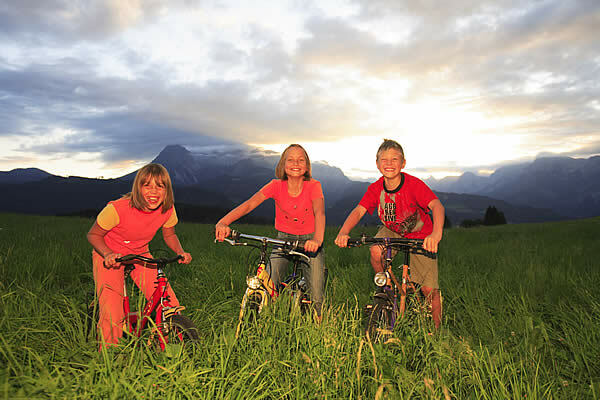 One of the most beautiful cycling routes in Europe, leads directy through Pfarrwerfen - the Tauernradweg (Tauern cycling route), and lies within close proximity to our hotel. It is guaranteed to be worth a visit for enthusiastic sportmen and woman, as well as hobby cyclists! The total distance of the Tauernradweg route is 280 kilometres (Krimml - Bruck - Salzburg - Zell am See/Bruck). Due to the downhill gradient of Krimml (1076 m) to Salzburg (425 m) the route is mostly downhill. More than 90 percent takes place on cycling routes i.e quiet peaceful side streets. There are also substantially shorter routes, that are well suited for children. It is also quite possible to try some of the easier relaxing cycling trips leading directly from the hotel. We will gladly offer you valuable tips and information where necessary!